Customer loyalty is something that all companies should aspire to simply by virtue of their existence: The point of starting a for-profit company is to attract and keep happy customers who buy your products to drive revenue. Loyal customers convert and spend more with brands they’re loyal too more often, and they tell their friends and colleagues about those brands, which helps drive free referrals. Why sould supporting the value of cultivating customer loyalty? Loyal customers tell their family and friends about positive experiences. Word-of-mouth marketing is more effective at driving new customers than branded content and advertising, and in turn, these referred customers become loyal customers that are likely to spend more than average. How can Blockchain solve issues existing in the traditional loyalty programs? Blockchain-based loyalty programs address a number of issues that typically drive customers away from traditional loyalty programs. Among them are problems with redeeming points before they expire and keeping track of multiple loyalty programs. Low redemption rates are a big problem for loyalty marketers. Members that are not redeeming are not actively engaged in the loyalty program. On the flip side, members who redeem points are more engaged, spend more and are more satisfied with loyalty programs. Blockchain allows a customer to store all points in a single wallet rather than trying to manage multiple programs. There would not be separate rules for acquiring and redeeming points from different loyalty programs as is currently the case. Multibuy wanted to add security and transparency to thwir rewards system. Early tests demonstrated this technology was the perfect fit to replace our current technical solution. Developing their own chain allows them control over the distribution, integration, support and expansion of the network. 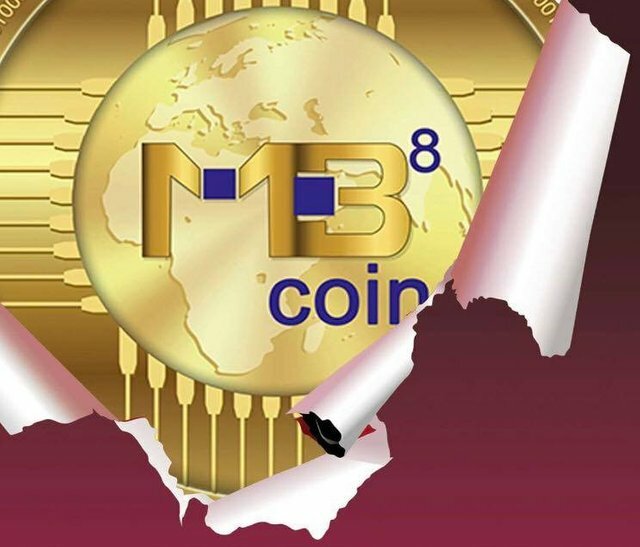 MB8 Coin is set to become the backbone of the rewards network that is already being used under white label by over 2100 businesses. Multibuy will be releasing MB8 Coin to drive the huge expansion of its already proven loyalty rewards system, by enabling global adoption via cryptocurrency. The initial implementation will be an ICO sale distribution of MB8 Coin tokens, which serves to replace the existing rewards systems “fuel” with an interest bearing cryptocurrency tradable on open crypto exchanges. Through participation in securing the network you can be rewarded 5% annual growth, in the form of additional tokens. MB8 tokens are distributed via an ICO to the public, new and existing business partners. Inability to fraudulently issue or create additional MB8 rewards tokens. Borderless and immediate transactions, perfect suited to the modern global market. Utilisation of the MB8 token via peer to peer gifting and trading on crypto exchanges will allow true price discovery to take place. Attract new customers to utilise the rewards platform, as well as bringing many new vendors, businesses and holiday locations to the rewards network. When it comes to loyalty programs, customers value flexibility. With blockchain loyalty programs, customers would no longer have to wait to be awarded points but could potentially receive and redeem them in real time. Plus, blockchain rewards are easier to track and can be redeemed in smaller increments. There are also broader opportunities for engagement including local campaigns, partner offers, biometric authorization and targeted content.